The Gunnison County Metropolitan Recreation (Met Rec) District board recently voted unanimously to ask voters to “de-Bruce” the district next November and lift some restrictions on the mill levy. 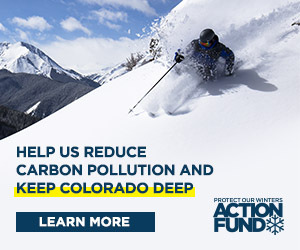 Under Colorado’s TABOR (Taxpayers Bill of Rights) regulations the district mill levy has decreased over the years to 0.57 mills and the amount of money it is bringing in will not cover television translator replacement costs, thus putting the over-the-air television service in danger of going away. Met Rec board chairman Dave Clayton explained that the district has only enough in reserves to fund one-third to one-half of the capital replacement of equipment over the next ten years. Once the reserves are depleted they would be extremely difficult to be replenished under TABOR restrictions. About 60 percent of the television users are in the Gunnison area. The district has had times when it would award grants for community recreation projects like the ice rinks at both ends of the valley. But Clayton said those days are numbered if the de-Brucing is not successful. By de-Brucing, the district could increase the property tax up to 1 mill and that would bring in enough money to maintain a sustainable translator system and have about $160,000 available for recreation grants or other improvements to the TV system each year. The estimated cost to the owner of a home valued at $750,000 would go from $34.50 per year to $54. Commercial properties would take a bigger hit under state tax laws. The district staff will begin preparing for the election by notifying the county elections office it wants an item on the November 2018 ballot. They will develop and submit ballot language for the election. A citizens committee will need to be formed to advocate for the issue. The district has budgeted $30,000 for 2018 election efforts that also include a May director’s election. Clayton said the board would begin developing a timeline and assigning responsibilities for developing and communicating the messaging to the public at the January board meeting.